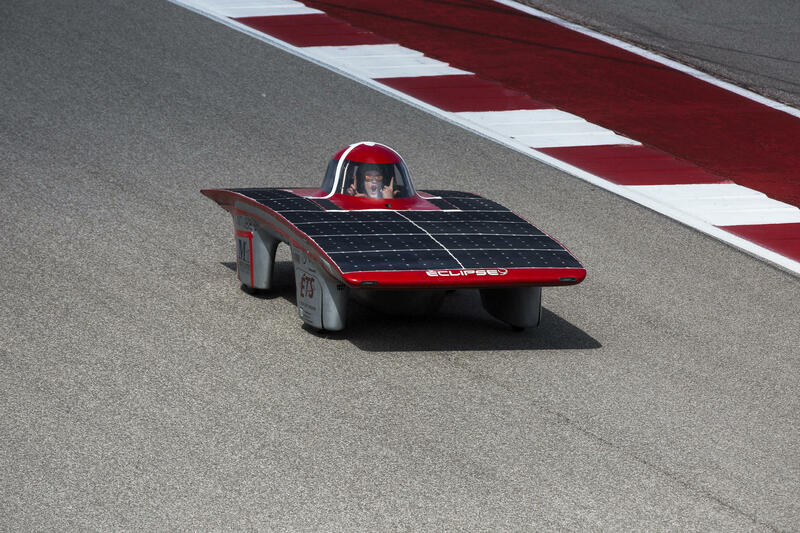 A solar-powered car built by a team from the University of California, Berkeley makes its way around the track at the Circuit of the Americas during the Formula Sun Grand Prix on Friday. Eighteen teams made their way this week to Circuit of the Americas for the Formula Sun Grand Prix. 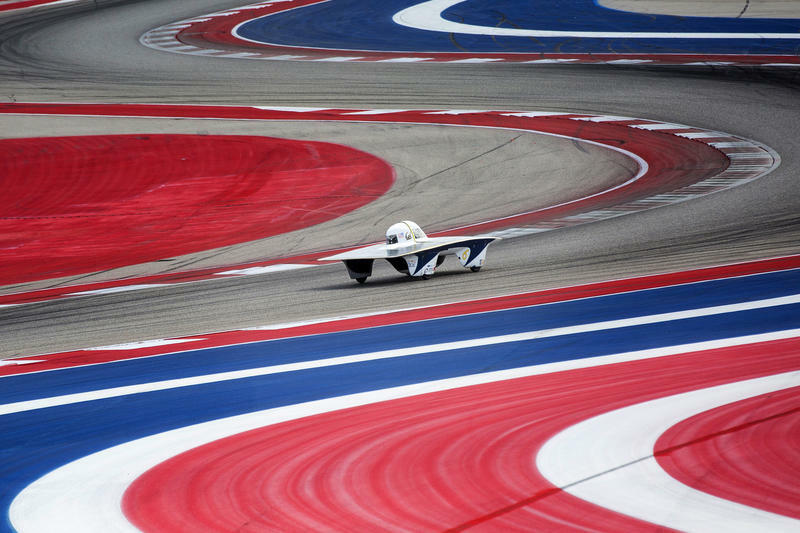 At least 14 made it past qualifying late Friday afternoon and will vy for the 2017 title – among them, the home team from the University of Texas Cockrell School of Engineering. He says his team will be looking to finish somewhere in the middle of the pack. But winning isn’t everything, right? It’s about the journey. 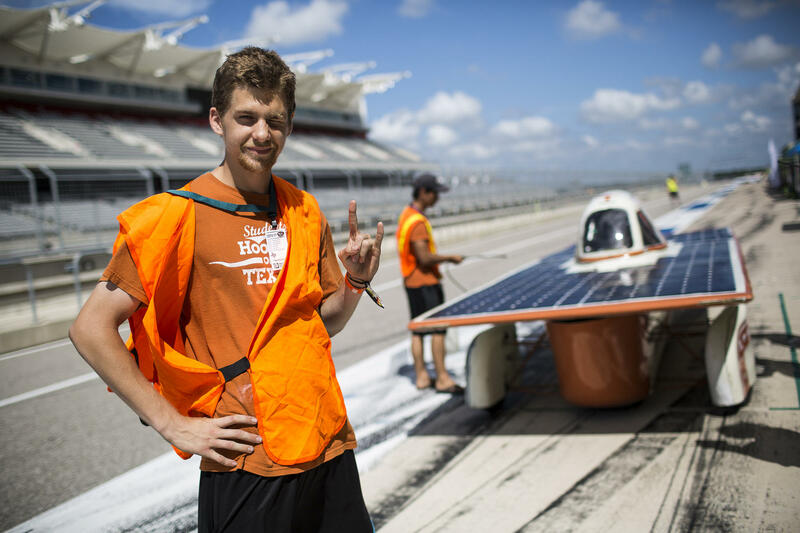 Senior Corey Hulse, the design lead for UT's team, says the team has taught him that in the real world, engineering is an interdisciplinary pursuit. “It’s a competitive event and everybody wants to do well, but it’s really about the learning," Hallock said. "And there’s a huge amount of learning around here, sort of real world engineering, of having things break and having to fix them quickly." Hulse is also one of the drivers. He says the team has taught him that in the real world, engineering is an interdisciplinary pursuit. “There are people with skills that are on this that I never thought I would ever use on my project, for example a meteorologist," he said. "I never thought that would happen." 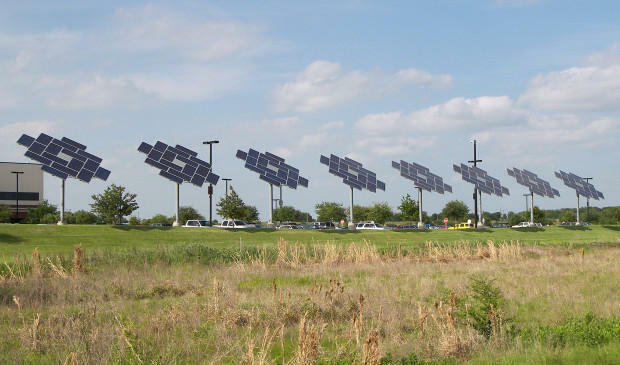 Turns out knowing the weather is important in a solar car race. It might also be important to know something about money. “Business guys? I used to think, ‘Oh I’m and engineer. I don’t have to deal with those guys.’ Now when I go, ‘Where do I get 40 grand for a motor?’ Now they’re my best friends," Hulse said. "I couldn’t imagine running this without a business team." Mathieu Lecours drives the solar-powered car from Ecole de Technologie Superieure, an engineering school in Montreal. This is 16th running of the Formula Sun Grand Prix and the fourth time COTA has hosted the event. The trophy goes to the team with the most laps around the racetrack by the end of three days of competition. Students build the cars mostly from scratch, then out-of-town teams must break them down and figure out how to get them to Austin. “We get it shipped from San Juan to Jacksonville, then we pick up the trailer from Jacksonville and drive it all the way to Austin,” said Diego Mercado, mechanical captain for the University of Puerto Rico solar car team. He says even though his team has come all this way, their goal is rather modest. “Just getting over the hill on our very first try was a great victory for us,” he said. Puerto Rico’s car had problems with the steep incline of COTA’s first turn the last time it made the trip to Austin. Now that it's done that, it is hoping to surpass the school’s previous best of 72 laps. “So, we’re just here to learn, have fun and try to do our best. But if we can beat our last goal, then that would be perfect for us,” Mercado said. 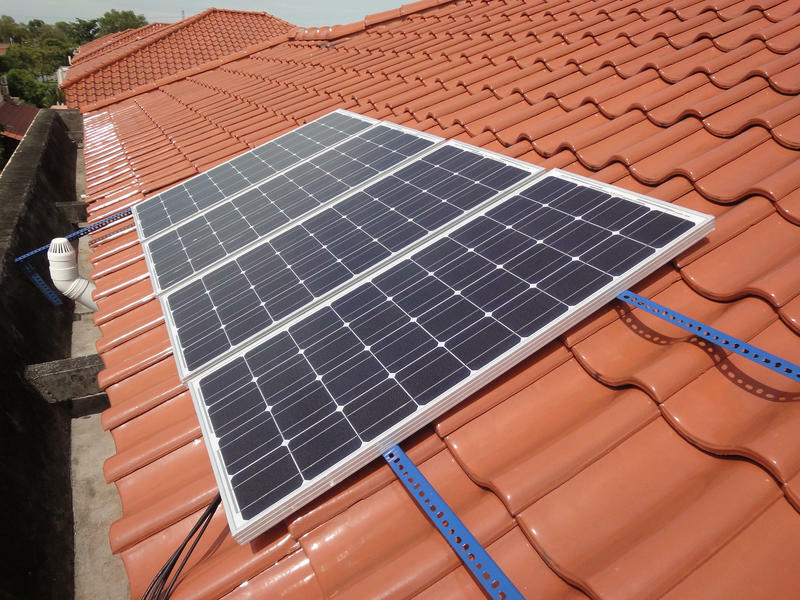 “I think, going out into the industry and applying everything I’ve learned here to either electric cars or the space industry or whatever it is, this has probably been one of the most helpful things I’ve ever done,” said Brian Kuo, a graduate engineering student and a member of the Georgia Tech team. The public is welcome to watch the final day of the race, Saturday from 8 a.m. to 5 p.m. Attendance and parking are free.